The 14th Amendment, when combined with the War on Crime, has paradoxically disenfranchised vast swaths of the population and given the rural, white areas surrounding the prisons unforeseen political power. What has it really cost the United States to build the world’s most massive prison system? To answer this question, some point to the nearly two million people who are now locked up in an American prison—overwhelmingly this nation’s poorest, most mentally ill, and least-educated citizens—and ponder the moral costs. 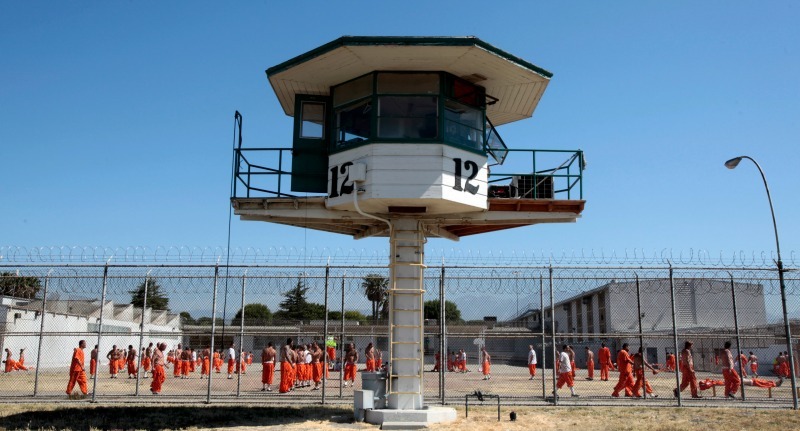 Others have pointed to the enormous expense of having more than seven million Americans under some form of correctional supervision and argued that the system is not economically sustainable. Still others highlight the high price that our nation’s already most-fragile communities, in particular, have paid for the rise of such an enormous carceral state. A few have also asked Americans to consider what it means for the future of our society that our system of punishment is so deeply racialized. With so many powerful arguments being made against our current criminal justice system, why then does it persist? Why haven’t the American people, particularly those who are most negatively affected by this most unsettling and unsavory state of affairs, undone the policies that have led us here? The answer, in part, stems from the fact that locking up unprecedented numbers of citizens over the last forty years has itself made the prison system highly resistant to reform through the democratic process. To an extent that few Americans have yet appreciated, record rates of incarceration have, in fact, undermined our American democracy, both by impacting who gets to vote and how votes are counted. The unsettling story of how this came to be actually begins in 1865, when the abolition of slavery led to bitter constitutional battles over who would and would not be included in our polity. To fully understand it, though, we must look more closely than we yet have at the year 1965, a century later—a moment when, on the one hand, politicians were pressured into opening the franchise by passing the most comprehensive Voting Rights Act to date, but on the other hand, were also beginning a devastatingly ambitious War on Crime. The Voting Rights Act of 1965 gave the federal government a number of meaningful tools with which it could monitor state elections and make sure that states with a particularly grim history of discriminatory voting practices would make no voting policy without its approval. The act had been intended to combat the intimidation and legal maneuvers—such as passage of poll taxes, literacy requirements, and so-called “Grandfather clauses”— that had left only 5 percent of black Americans, by the 1940s, able to vote, despite passage of the 14th and 15th amendments after the Civil War. But the very same year that Lyndon Johnson signed the Voting Rights Act of 1965, he also signed another Act into law: the Law Enforcement Administration Act (LEAA), a piece of legislation that, well before crime rates across America hit record highs, created the bureaucracy and provided the funding that would enable a historically and internationally unparalleled war on crime. So, at the very same moment that the American Civil Rights Movement had succeeded in newly empowering African Americans in the political sphere by securing passage of the Voting Rights Act of 1965, America’s white politicians decided to begin a massive new war on crime that would eventually undercut myriad gains of the Civil Rights Movement—particularly those promised by the Voting Rights Act itself. Thanks to LEAA and America’s post-1965 commitment to the War on Crime, and more specifically, thanks to the dramatic escalation of policing in cities across the nation as well as the legal changes wrought by an ever-intensifying War on Drugs, between 1970 and 2010 more people ended up in prison in this country than anywhere else in the world. At no other point in this nation’s recorded past had the economic, social, and political institutions of a country become so bound up with the practice of punishment. By the year 2007, 1 in every 31 U.S. residents lived under some form of correctional supervision. By 2010, more than 7.3 million Americans had become entangled in the criminal justice system and 2 million of them were actually locked up in state and federal prisons. By 2011, 39,709 people in Louisiana alone were living behind bars and 71,579 were either in jail, on probation, or on parole. And this was by no means a “southern” phenomenon. In Pennsylvania, 51,638 people were actually locked behind bars in 2011 and a full 346,268 lived under some form of correctional control by that year. The nation’s decision to embark on a massive War on Crime in the mid-1960s has had a profound impact on the way that American history evolved over the course of the later 20th and into the 21st centuries. As we now know from countless studies, such staggering rates of incarceration have proven both socially devastating and economically destructive for wide swaths of this country—particularly those areas of America inhabited by people of color. This nation’s incarceration rate was hardly color blind. Eventually one in nine young black men were locked up in America and, by 2010, black women and girls too were being locked up at a record rate. So how did this overwhelmingly racialized mass incarceration end up mattering to our very democracy? How is it that this act of locking up so many Americans, particularly Americans of color, itself distorted our political process and made it almost impossible for those most affected by mass incarceration to eliminate the policies that have undergirded it at the ballot box? The answer lies back in the 1870s and in a little-known caveat to the 14th Amendment. Ratifying the 14th Amendment was one of Congress’s first efforts to broaden the franchise after the Civil War. A key worry among northern politicians, however, was that since white southerners could no longer rely on the notorious “three-fifths” rule to pad their own political power, they would now try to inflate their census population for the purposes of representation by counting African Americans as citizens while denying them to access the ballot. So, to prevent any power grab on the part of ex-Confederates, Congress decided to add so-called Section 2 to the 14th Amendment. Firstly it stipulated that any state that “denied” the vote “to any of the male inhabitants of such state, being twenty-one years of age, and citizens of the United States” would have its representation downsized in proportion to the number of individuals being disenfranchised. Secondly, Section 2 allowed for the disenfranchisement of otherwise eligible citizens—without affecting representation—if they had participated “in rebellion, or other crime.” The idea here was to keep those who had committed crimes against the Union and those who might still be in rebellion against the Union from wielding political power in the wake of the Civil War. This latter provision of Section 2, however, proved damaging to black freedom—political and otherwise. Almost overnight, white southerners began policing African Americans with new zeal and charging them with “crimes” that had never before been on the books. Within a decade of the Civil War, thousands of African Americans found themselves leased out and locked up on prison plantations and in penitentiaries. Southern whites, of course, profited from these new laws politically as well as economically. By making so many blacks into convicts, whites could deny them the right to vote under Section 2 without undermining their state’s census population for the purposes of political representation. And, because of another clause of another Amendment, the 13th, which allowed the continuation of slavery for those who had committed a crime, these same white southerners were able to force thousands of newly imprisoned black southerners to work for free under the convict lease system. Fast-forward 100 years when, in the wake of the Civil Rights movement, another War on Crime began that also, almost overnight, led to the mass imprisonment of this nation’s African American citizens. In 1974, as the numbers of imprisoned Americans was rising precipitously and when states once again began to disfranchise individuals with criminal convictions, the U.S. Supreme Court was asked in a landmark case, Richardson v. Ramirez, to rule explicitly on the issue of whether it was constitutional under the 14th Amendment to disfranchise those serving, or who have served, time in prison. The court did the same thing that many southern states did after the Civil War—it interpreted Section A of the 14th amendment very, very differently than it was intended to be interpreted. It, too, decided that disenfranchisement would be permitted when a citizen was convicted of any crime, without regard to whether such crimes might be thought of as ideologically analogous to rebellion or were more likely to affect African Americans than others. Notably, Justice Thurgood Marshall dissented vigorously in this case. The purpose of Section 2, he argued, was clearly to enfranchise, not disenfranchise, former slaves and their descendants. Marshall’s fellow members of the bench, though, felt that their decision would not have any discriminatory effect because the nation already had the Voting Rights Act of 1965 to handle this issue. And yet, the negative impact of Richardson v. Ramirez on African American voting was vast and immediate. By the year 2000, 1.8 million African Americans had been barred from the polls because so many felon disfranchisement laws had been passed in states across the country after 1974. Not only were their votes not counted in that year’s hotly contested presidential election, but by the next presidential election a full ten states, according to The Sentencing Project, had "African American disenfranchisement rates above 15%," which clearly affected the outcome of that contest as well. By 2006, 48 out of 50 states had passed disfranchisement laws and, with more than 47 million Americans (1/4 of the adult population) having criminal records by that year, the nation’s political process had been fundamentally altered. By 2011, 23.3% of African Americans in Florida, 18.3% of the black population of Wyoming, and 20.4% of African Americans in Virginia were barred from the ballot. According to sociologists Jeff Manza and Christopher Uggen, not only did African Americans pay a high price for the disfranchisement policies that accompanied the nation’s War on Crime, but so did liberal voters in general. According to their research, such policies “affected the outcome of seven U.S. Senate races from 1970 to 1998 . . . [and] in each case the Democratic candidate would have won rather than the Republican victor” and these outcomes likely “prevented Democratic control of the Senate from 1986 to 2000” as well. Disfranchising thousands of voters is only part of the story of how mass incarceration has distorted American democracy. Today, just as it did more than a hundred years earlier, the way the Census calculates resident population also plays a subtle but significant role. As ex-Confederates knew well, prisoners would be counted as residents of a given county, even if they could not themselves vote: High numbers of prisoners could easily translate to greater political power for those who put them behind bars. With the advent of mass incarceration, and as the number of people imprisoned not only rose dramatically, but also began moving urbanites of color into overwhelmingly white rural counties that housed prisons, the political process was again distorted. In short, thanks to this process that we now call “prison- gerrymandering,” overwhelmingly white and Republican areas of the United States that built prisons as the War on Crime escalated got more political power, whereas areas of country where policing was particularly concentrated and aggressive, areas in which levels of incarceration were, as a result, staggering, lost political power. Consider research by the Prison Policy Initiative showing how voters across the country gain political power from housing a penal facility. In Powhatan County, Virginia 41% of the 5th Board of Supervisors District that was drawn after the 2000 Census were actually people in prison and in both the First and Third Supervisory Districts of Nottoway County, approximately ¼ of their population comes from large prisons within the county. In the case of Southampton County, such prison-based gerrymandering means that votes of those citizens who live there are worth almost more than twice as much as votes cast in other districts that have the required number of actual residents. In Michigan as well, mass incarceration has meant distorted democracy. A full four state senate districts drawn after the 2000 Census (17, 19, 33 and 37), and a full five house districts (65, 70, 92, 107 and 110) meet federal minimum population requirements only because they claim prisoners as constituents. Similarly in Pennsylvania, no fewer than eight state legislative districts would comply with the federal "one person, one vote" civil rights standard if non-voting state and federal prisoners in those districts were not counted as district residents. As Americans go to the polls this November to vote on criminal justice issues that directly affect our lives—ranging from proposals to decriminalize marijuana, to roll back three strikes laws, to fund more prison construction—the massive carceral state that we are trying to shape at the ballot box has already distorted our democracy. Americans’ power to even rethink, let alone undo, the policies and practices that have led to mass incarceration via the franchise has been severely compromised—in no small part due to the fact that the parties that benefitted the most from the rise of this enormous carceral state are now empowered, seemingly in perpetuity, by its sheer size and scope. There are, of course, other ways to dismantle the carceral state. Indeed, history shows us that we ended the brutal convict leasing system of the Post-Civil War era not by going to the polls but by grassroots and legal activism. Nevertheless, we should all be concerned about the ways mass incarceration has eroded our democracy. Even if we don’t care about the record rate of imprisonment in this country—despite its myriad ugly consequences, its unsustainable cost, and its particularly devastating fallout on communities of color—when the principle of “one person, one vote” no longer has real meaning in a society, and when political power is no longer attained via its people but rather through a manipulation of their laws, we must all question the future of our nation. Heather Ann Thompson is an associate professor of African American studies and history at Temple University. She is the author of a forthcoming history of the 1971 Attica Prison Rebellion and its legacy.